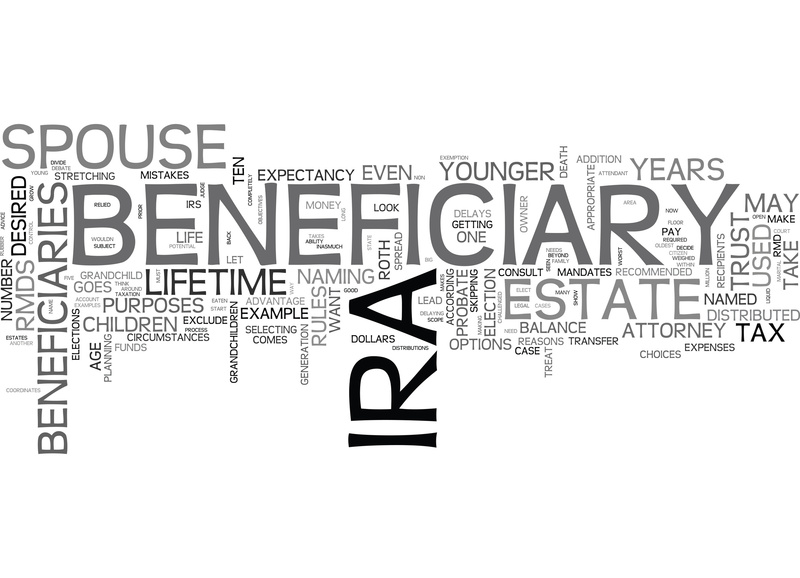 Here’s a simple financial question: Who is the beneficiary of your IRA? How about your 401(k) or annuity? You may be saying, “I’m not sure.” It is a good idea to periodically review your beneficiary designations. Your choices may need to change with the times. When did you open your first IRA? When did you buy your life insurance policy? Have your priorities changed? While your beneficiary choices may seem obvious and rock-solid when you initially make them, time has a way of altering things. In a stretch of five or ten years, some major changes can occur in your life and may warrant changes in your beneficiary decisions. How your choices affect your loved ones. The beneficiary of your IRA, annuity, 401(k), or life insurance policy may be your spouse, your child, maybe another loved one, or maybe even an institution. Naming a beneficiary helps to keep these assets out of probate when you pass away. This material was prepared by a third party publisher, and does not necessarily represent the views of the presenting party, nor their affiliates. This information has been derived from sources believed to be accurate. Please note – investing involves risk, and past performance is no guarantee of future results. The publisher is not engaged in rendering legal, accounting or other professional services. If assistance is needed, the reader is advised to engage the services of a competent professional. This information should not be construed as investment, tax or legal advice and may not be relied on for the purpose of avoiding any Federal tax penalty. This is neither a solicitation nor recommendation to purchase or sell any investment or insurance product or service, and should not be relied upon as such. All indices are unmanaged and are not illustrative of any particular investment.